There are few trucks in the world that have the tenacity and the capabilities that make the Dodge Ram 1500 for sale near Lloydminster such a fantastic option for those who know they need more out of their next traveling companion. Work with us today and let’s discover the opportunities that are right for you at Bonnyville Chrysler. We’re pleased to be able to tailor our experience to your needs. Simply speak with one of our experts and allow us to offer you our opinions and guidance through the various models of Ram 1500 on our lot. Check out the Ram 1500 equipped with the 3.6-Litre Pentastar VVT V6 engine, or head over and see what life can be like if you choose one with the class-exclusive 3.0-Litre EcoDiesel V6 engine. With a range of options at your disposal, we’re sure you’re going to find one that addresses your specific driving requirements. If you want a hardened truck that can take to the roads without complaints, take a moment and review what the 5.7-Litre HEMI VVT V8 can do for you. Engineering is just better when it comes to the Ram lineup. Let our team help you discover which of the options suits you best. With opportunities that include longer cargo beds, more space inside for people and cargo, and various proprietary features that aim to keep you driving with confidence, that Ram brand is here to make your driving life even better. 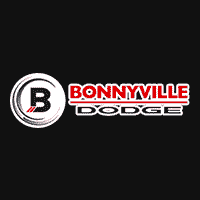 Work with us and allow our team to give you the right reasons to come back to our store for all your future automotive needs – from general maintenance to possible repairs or parts, you have everything you need at Bonnyville Dodge. Find your next Dodge Ram 1500 for sale near Lloydminster today!